Iowa City Area Development Group (ICAD) approached Creative Mellen and social media partner Sculpt to communicate to the University of Iowa Alumni Hawkeye Huddle(s) why Iowa City is a great place to live, work, and play. Giving those who have loved, and ultimately left Iowa City, the inspiration they need to return. In our brainstorming, we quickly identified that anything Hawkeye related with an audience of former Hawkeyes now living across the country would be a great avenue to grab attention. Button swag and social media gave us the platforms to do just that. 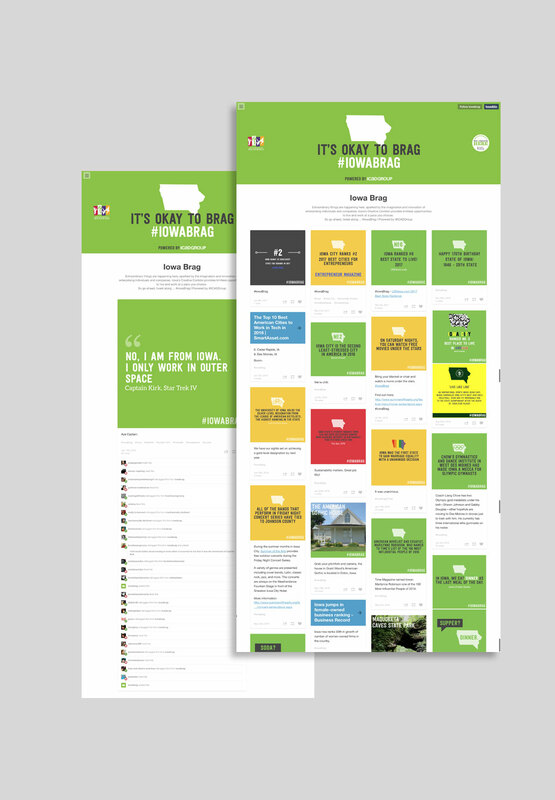 We developed messaging that revolved around all the great things Iowa and the area has to offer. And while Iowans typically have trouble boasting about what makes their home so great, we wanted to create a platform that allowed that approach to be well accepted. Iowa Brag was then born. 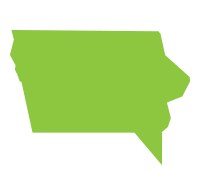 We created an iconic logo with the state of Iowa to communicate its brag-worthy elements. We then incorporated Hawkeye-specific brags into wearable buttons that fans could be proud of. We also made them timely so these items could be collected over time. Expanding beyond just Hawkeye-related brags, Sculpt created clever, shareable content to make the act of bragging easy and rewarding, allowing ICAD to continue communicating with those alumni who left the state.